Bella is growing in leaps and bounds. I can hardly keep her in knitted things she grows out of them so quickly. She has outgrown almost all of the cute little hats that me and my friend Kelly made her. 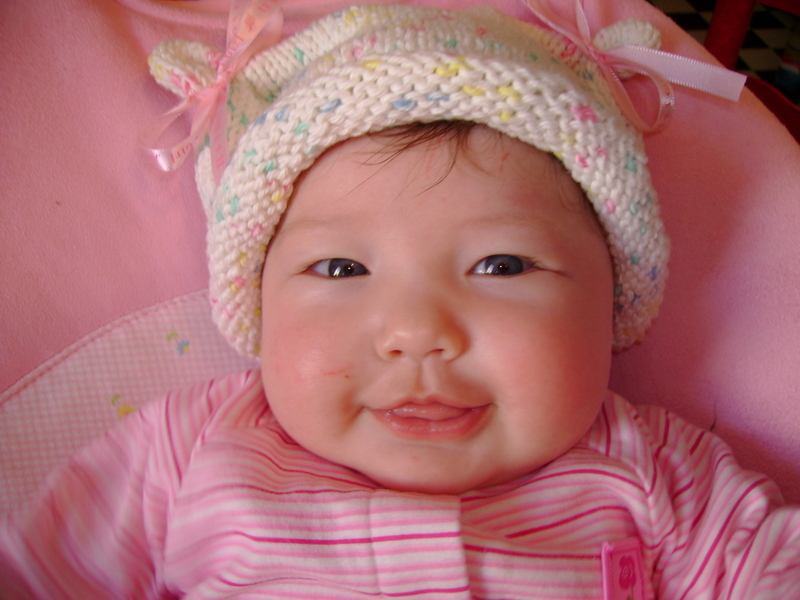 She needed something for spring and summer so I made her this Easy Peasy Baby Hat out of Sugar and Cream cotton. I added 5 CO stitches to the pattern to make sure it fits her all summer and she has plenty of room in it. 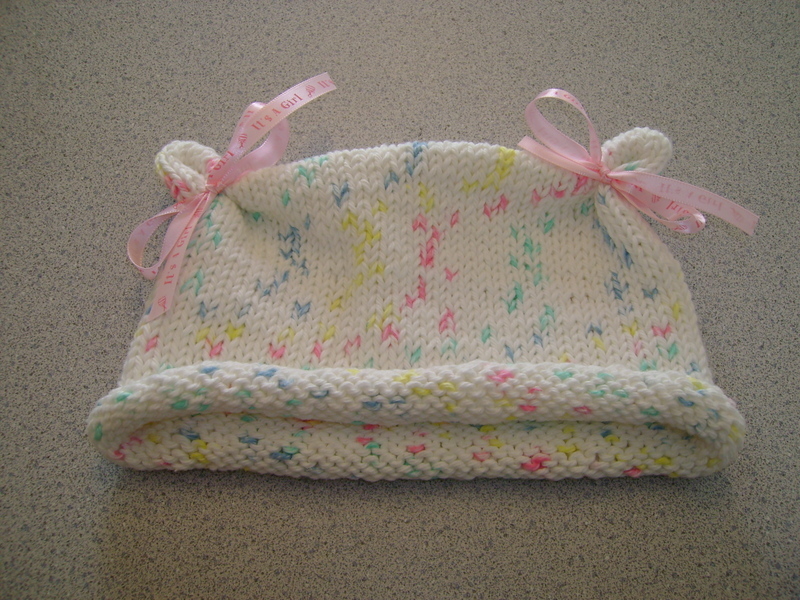 This is the first baby item I have knit with dishcloth cotton, but it was really soft for some reason. It was almost like feeling something made out of merino. I am obsessed with booties still. 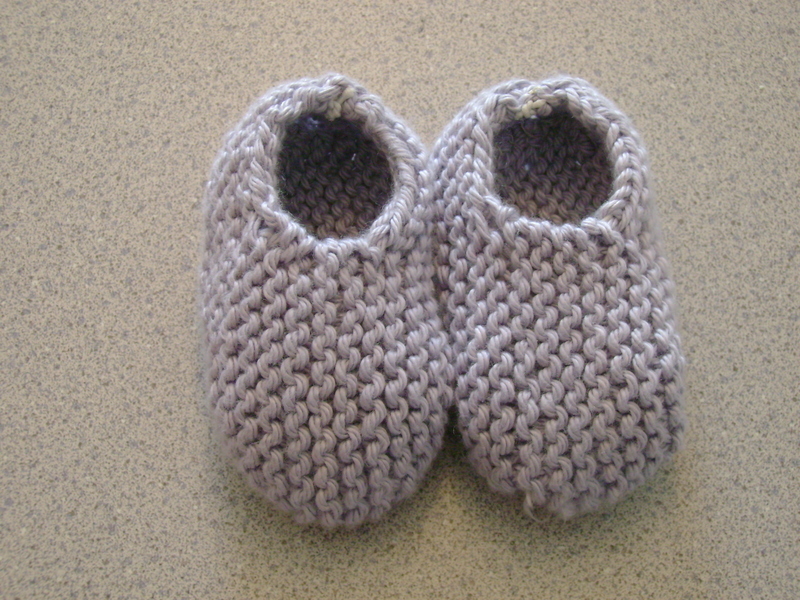 These are from 50 Baby Booties to Knit. I love this book as I am sure many of you do, since I have seen tons of pictures of these made. These are the Slip-Ons. 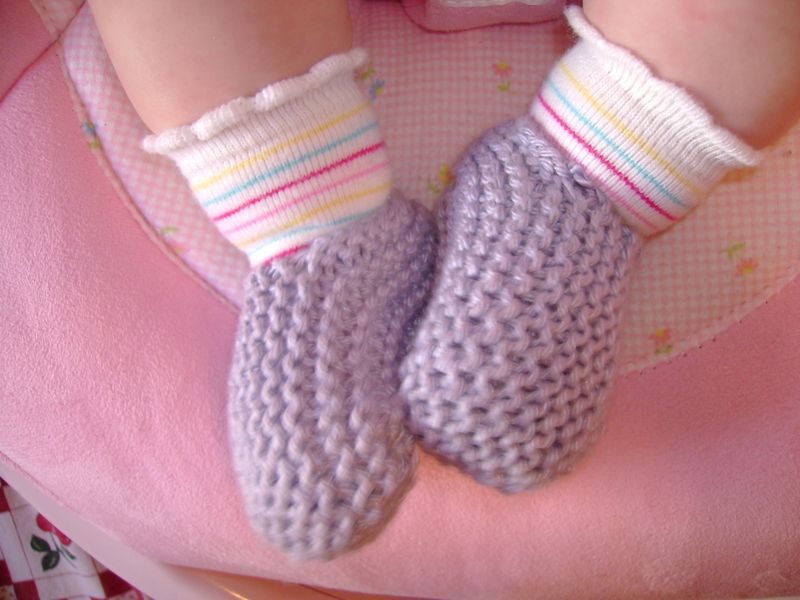 Unfortunately, none of the booties I have made for Bella stay on her feet. I have had to weave in a thin piece of elastic on all of them. That seems to be better. 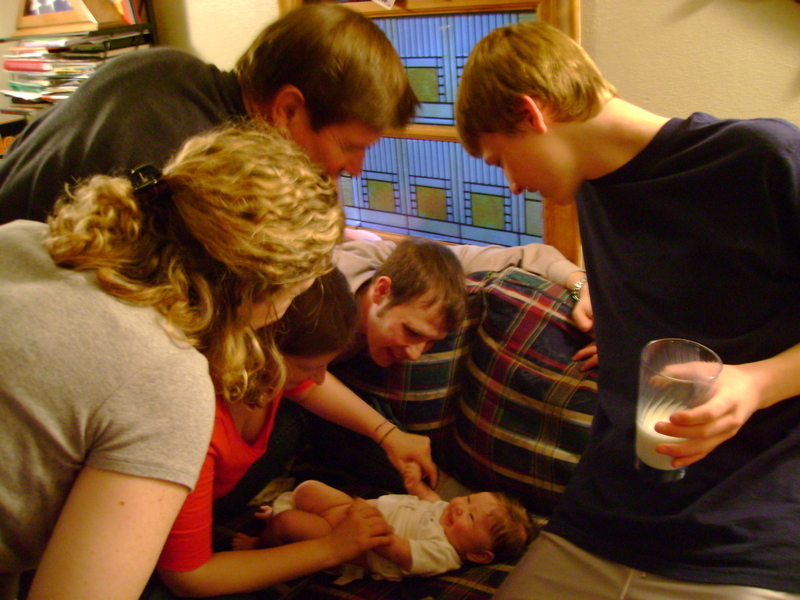 This is what the Morris family does every time we are together now. Poor Bella, what will she do when she discovers she is not the center of the universe!! I suspect we will have our hands full! Man, that baby is so beautiful! I love the hat and booties!! I love the ribbon on the corners - great idea!! Every little girl deserves to be the center of the universe ... at least for a little while! Those booties are sooooo cute! OMGosh is that hat cute but the model is adorable!